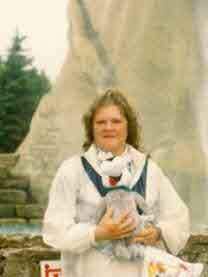 Birth* Margaret Donalda Grant was born on 23 July 1912 in Mariposa Twp., Victoria County, Ontario, Canada. 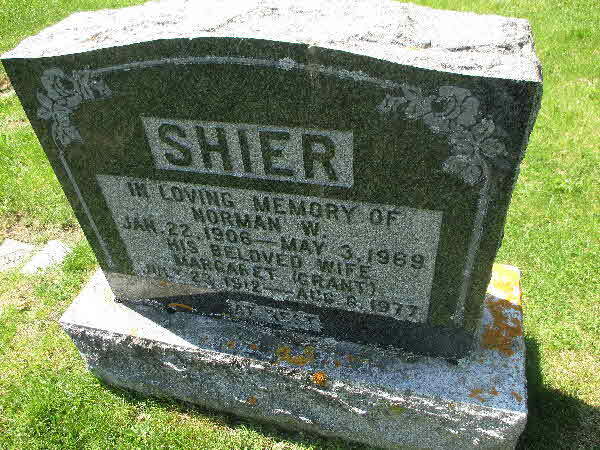 Marriage* Margaret Donalda Grant married Norman Wesley Shier, son of John WESLEY Shier and Elva Alena Somerville, on 19 December 1936 in Fenlon Falls, Victoria County, Ontario, Canada. 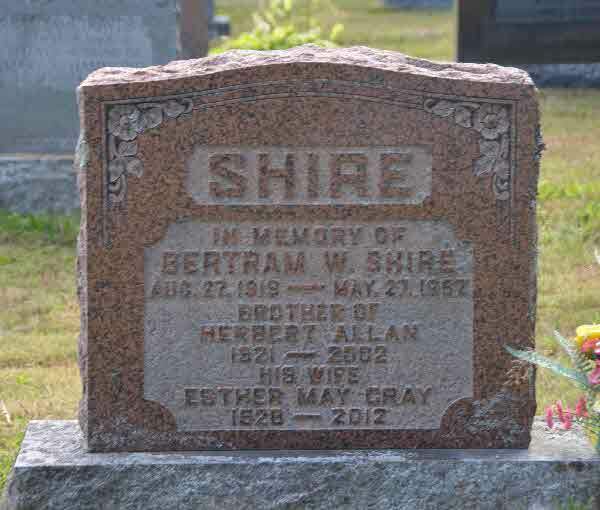 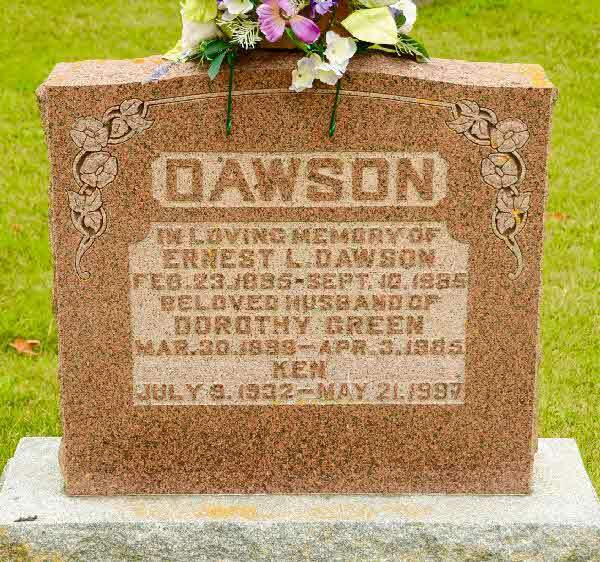 Burial* She was buried in Emily Cemetery, Omemee, Victoria County, Ontario, Canada. 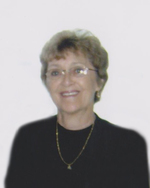 Death* Leone Mary Gratwicke died on 5 March 2013 in Baycrest, Toronto, York County, Ontario, Canada, at age 74; Peacefully, on Tuesday, March 5, 2012 at Baycrest in Toronto at the age of 74. 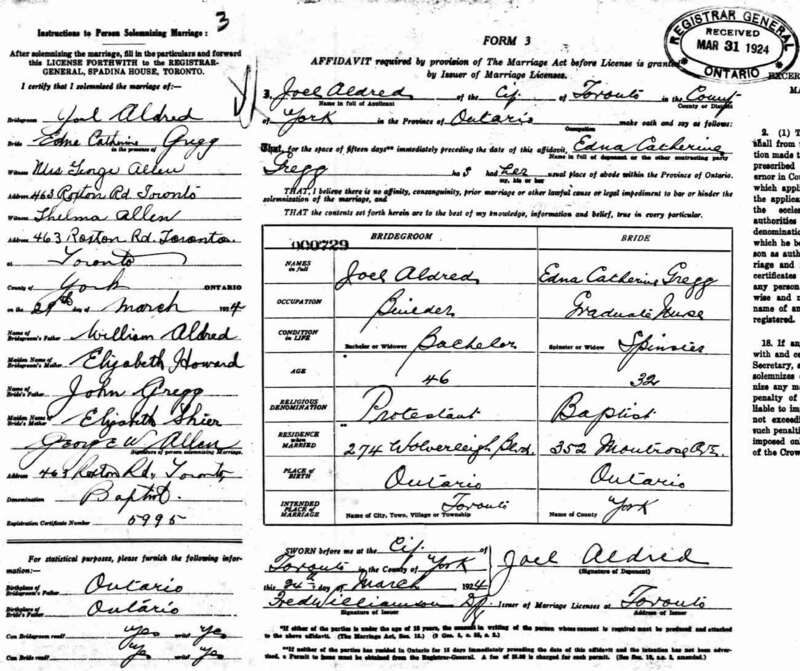 Marriage* Jane Green married James Baptist Shier, son of Richard Shier and Elizabeth Ann Wilson, on 18 November 1921 in Belleville, Hastings County, Ontario, Canada. 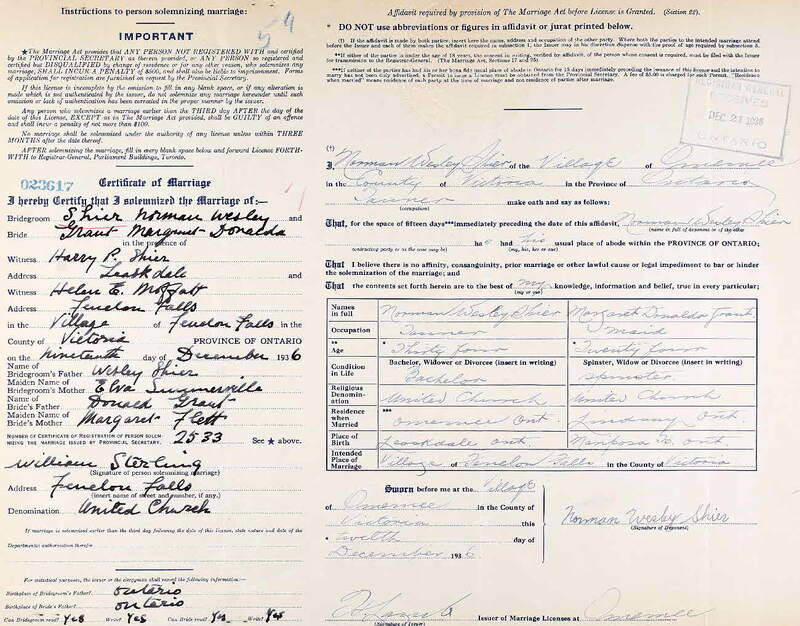 Marriage* Ethel Gertrude Greenway married Reuben PERCIVAL Shier, son of Reuben Shier and Mary Ann Armstrong, on 29 July 1910 in London, Middlesex County, Ontario, Canada. 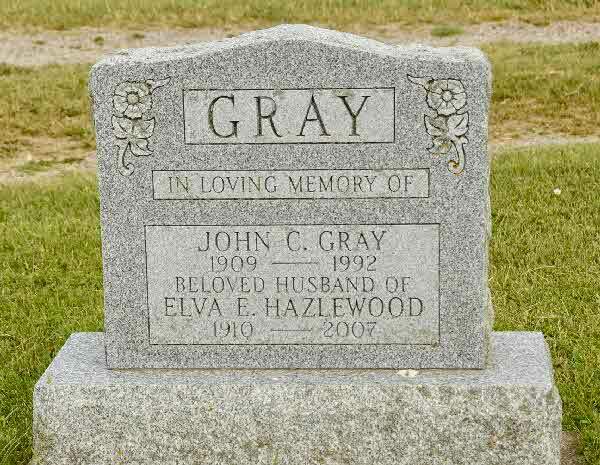 Burial* She was buried in Mount Pleasant Cemetery, London, Middlesex County, Ontario, Canada. 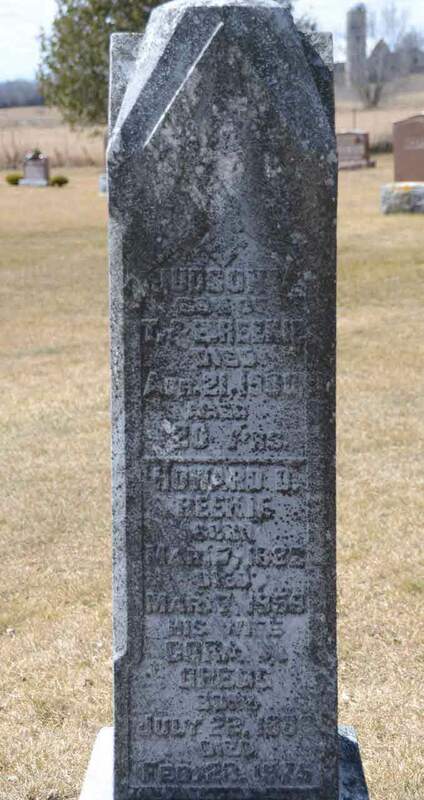 Burial* He was buried in Hart Cemetery, Brock Twp., Wilfrid, Ontario County, Ontario, Canada. 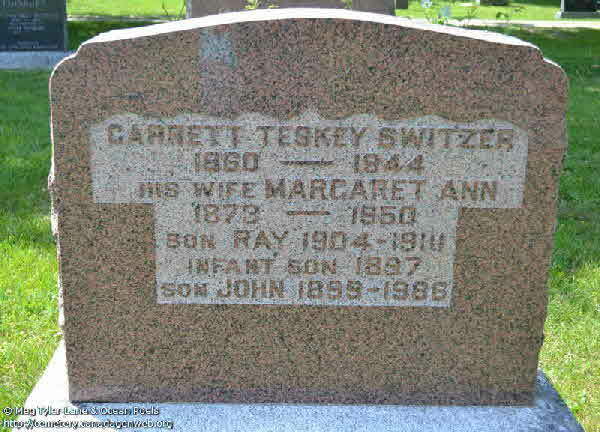 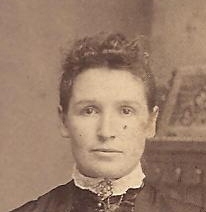 Marriage* She married Garrett Teskey Switzer, son of William Henry Switzer and Arabella Margaret Teskey, on 21 June 1894 in Ashfield Twp., Huron County, Ontario, Canada. 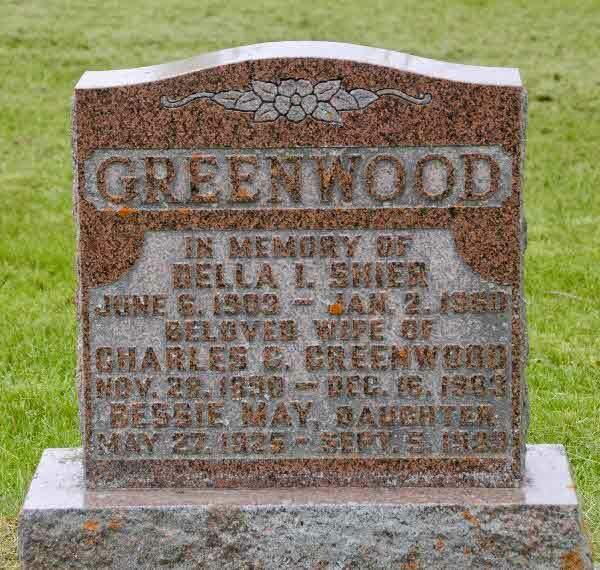 Burial* She was buried in Pine Grove Cemetery, Prince Albert, Ontario County, Ontario, Canada. 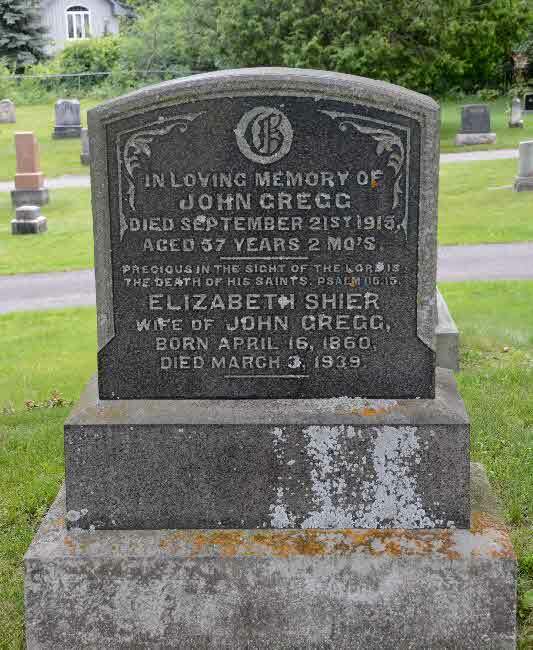 Death* Zella Beatrice Greg died on 21 September 1919 in Toronto General Hospital, Toronto, York County, Ontario, Canada, at age 35. 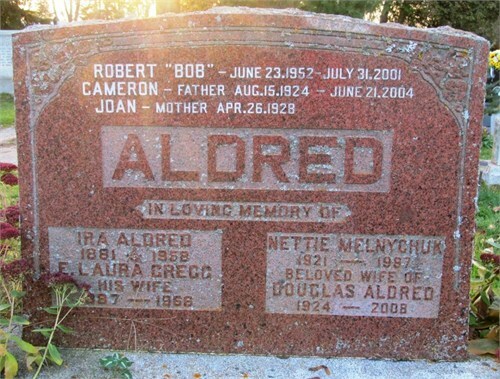 Marriage* She married Joel Aldred, son of William N. Aldred and Elizabeth Howard, on 24 March 1924 in Toronto, York County, Ontario, Canada. 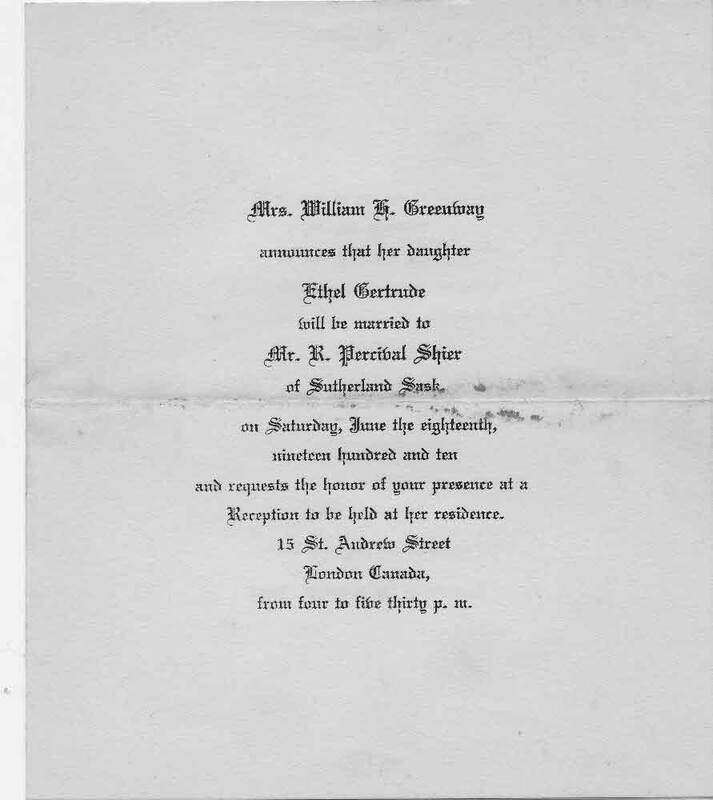 Marriage* He married Elizabeth Shier, daughter of Jacob Shier and Catherine Rynard, on 10 November 1880 in Georgina Twp., York County, Ontario, Canada. 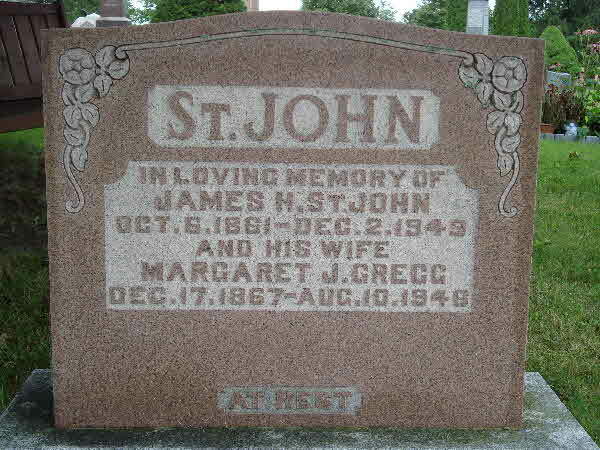 Marriage* Margaret Jane Gregg married James Henry St. John, son of George (Jacob) St. John and Mary Ann Shier, on 16 February 1887 in Reach Twp., Ontario County, Ontario, Canada. 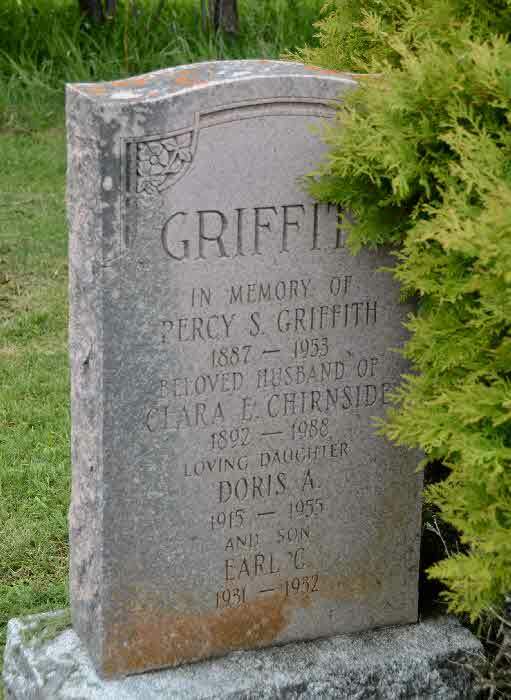 Death* Irene E. Griffin died in 2003. 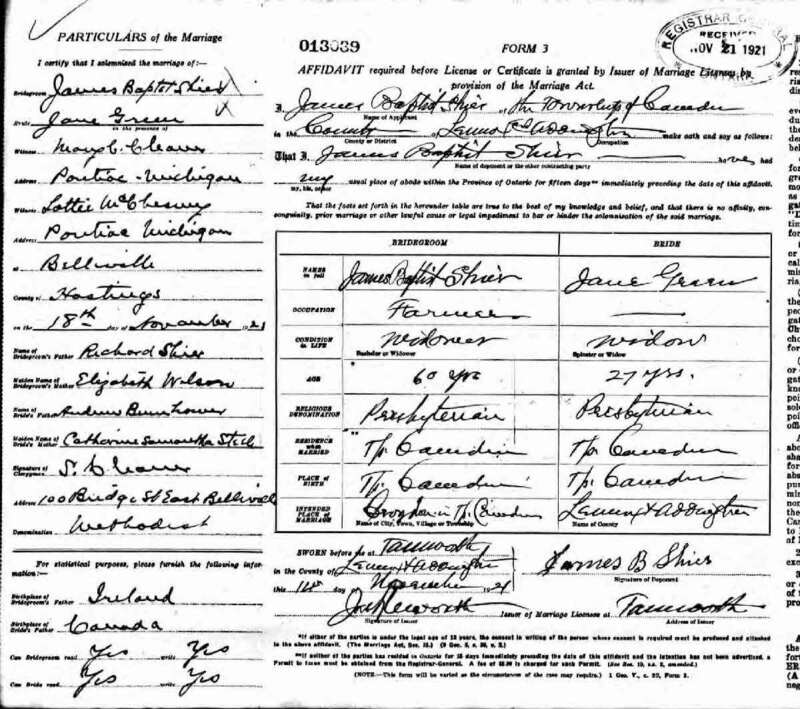 Marriage* Margaret Griffin married James Alfred August Shier, son of Wyndham Shier and Eliza Jane Long, on 22 August 1905 in Toronto, York County, Ontario, Canada. 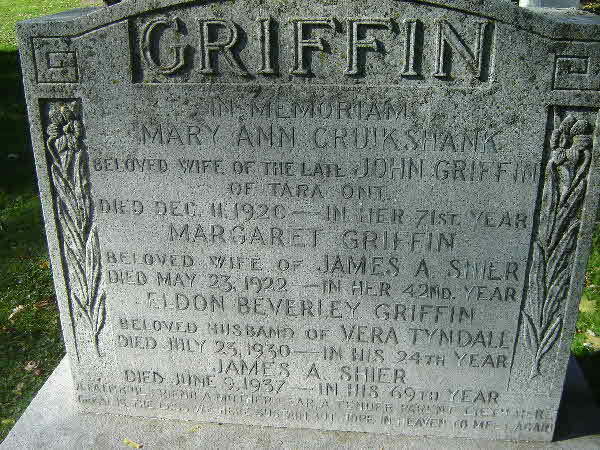 Death* Margaret Griffin died on 23 May 1922 in York Twp, York County, Ontario, Canada. 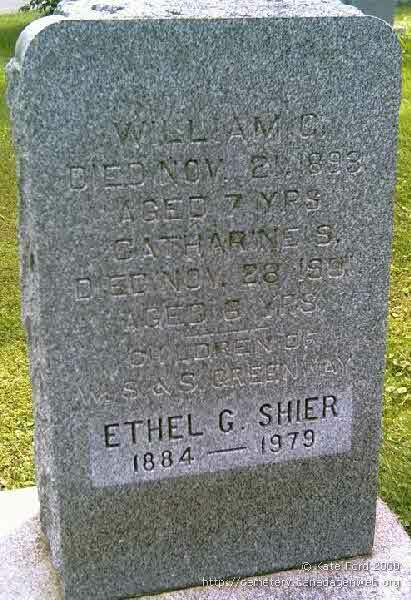 Burial* She was buried on 24 May 1922 in Prospect Cemetery, Toronto, York County, Ontario, Canada.